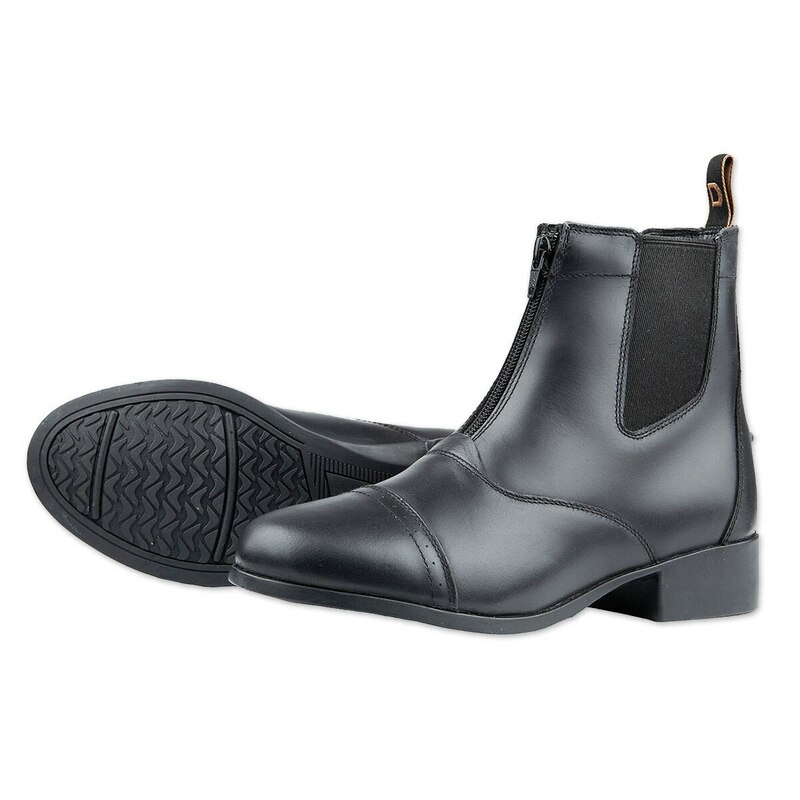 The Dublin Foundation Ladies Zip Paddock Boots are constructed from quality leather and a YKK zipper. Feature the Advanced Dublin RCS footbed with cradle offering arch support and moisture control for all-day comfort. Moisture-wicking lining for rider comfort. Rubber outsole designed for grip, endurance and stability control. Punched toe cap and branded nylon pull tab. 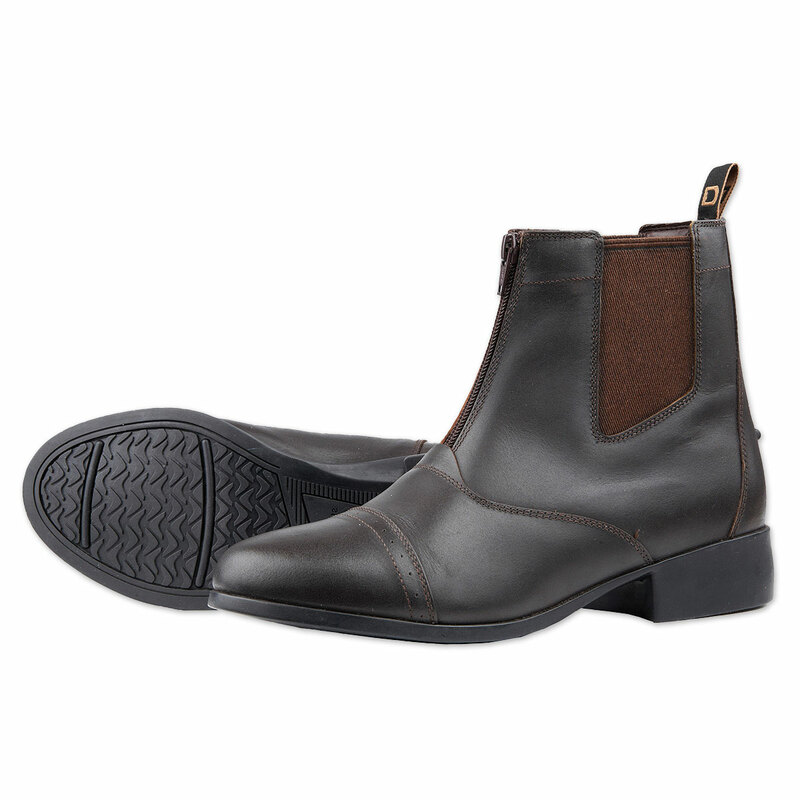 Dublin Foundation Ladies Zip Paddock Boots is rated 3.5 out of 5 by 4. Rated 3 out of 5 by Leah from Easy on & off & decent quality, but the footbed is a little wide and the leather gets rub marks easily. Fine for day to day use, but I don't expect significant longevity out of them. Rated 3 out of 5 by Custis from Nice quality for the price, run a little small Got these on Black Friday sale and love them, but wish I would have gone a half size larger. Rated 5 out of 5 by bark from Dubline Foundation Ladies Zip Paddock Boots Very comfortable from the moment I first put them on and have continued to be comfortable.